Are you looking for Vintage Summer Fun? Ypsilanti Mom Keri and her daughters havew written the book Screen-Free Summer Endless Ideas to Get Kids off the Device and into the Summer. In today’s Ask an Ann Arbor Expert post, she brings us 5 ideas for Vintage Fun in excerpts from her book. Disclosure: Ann Arbor with Kids is compensated for sales through Amazon links. Thank you for supporting the site by shopping through our links. Screen Free Summer: Endless Ideas to Get Kids off the Device and into the Season is free with a Kindle Unlimited subscription. It is $2.99 to purchase for Kindle and $9.99 to purchase as a paperback. What follows is neither a philosophy nor a manifesto. It is simply a manual chock full of ideas of how to use the wide expanse of June, July, and August, what we fondly call “summer” in the Northern Hemisphere. Screen-free is not a punishment, but an opportunity. Studies have shown that kids with less screen time read more, are more active, and engage with the world around them in a deeper way. One family reported that their children bickered less and were more good-natured when they gave up devices for several weeks. We think it’s important to watch out for the “vice” in “device”. It has been shown that screens can be addictive, both for kids and adults – and addicts get grumpy when they don’t get their fix. We encourage families to offer something better than devices, such as an outing, a skill, or the wonderland of their own imaginations. We would be remiss not to acknowledge the irony that many readers will read this very book on a device. Fine. No problem. What comes afterward is the important part. Please treat this book like you would a buffet: take what pleases you and leave the rest behind What seems fun to one family may leave another family yawning. No big deal. Feel free to modify to accommodate kids from toddlers to teenagers. So use this book as a springboard. We invite you to come up with your own screen-free ideas and post them on our facebook page, Screen-Free Summer: Endless Ideas book. Yes, you’ll have to sneak some screen time for this. Feel free to post photos of your families engaging in some of these activities. Or better yet, don’t post on the facebook page. Instead, tell your friend or neighbor about it and encourage them! Let us also say that the Internet is wonderful. Tablets are our newspapers, our maps, our pony express. They entertain, organize, teach. But they are not everything. We feel that much of the memories of life, most of the lessons, are experienced away from screens. One idea is to use online resources to plan the week (consulting maps, museum hours, recipes, etc.) during a designated research time. We can model using screens as a way to have access to information. Then step away from the screen. Let’s help our families get off the device and into the season! As long as we are stepping away from the screen for a bit, it’s not that far of a jump to step back in history. 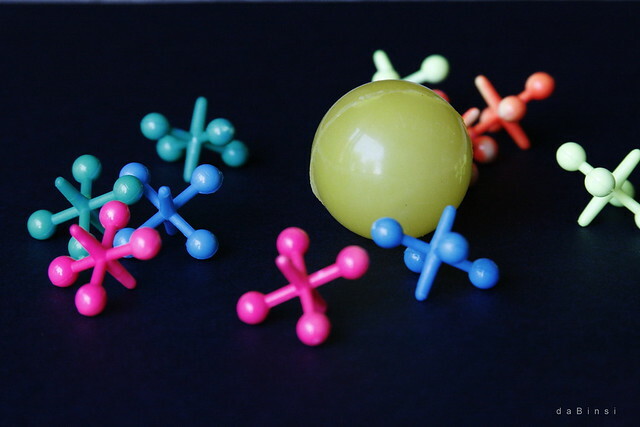 We have found that many of these old fashioned games keep us active, develop memory skills, or facilitate family time. Ask grandparents or elderly neighbors if they’ve played any of these. Here are 5 ideas for vintage play. See book for many more. Our library has a book of jump rope rhymes, and once we tire of these, we modify them with more current lyrics. If you are looking for a fun, rhythmic challenge, try double dutch. Practice makes progress on this one! Ask a grandparent about this hand-eye coordination game. Because these are a dying breed, you’ll have to research to find a drive-in movie theater, but it will be worth it. Another option is to hang a sheet over the fence and project a film there. Kids could make cars from large cardboard boxes and bring their own popcorn. Also, we have found that the garage door is also a great option for an at-home movie experience. As a child, I never understood the nuances of this game, but we have revived a simpler version. Draw a large square on the driveway with sidewalk chalk. Divide it into four quadrants, with a child standing in each (this may need some recruiting if neighbor kids). The leader announces a certain topic (“colors!” or “Taylor Swift songs!” for example). The children bounce a large playground ball rhythmically between each other, saying an item that belongs to the topic whenever it is their turn to bounce. If a child cannot think of one in time, he/she is out, making room for another child to come in. Sew some simple burlap sacks or ask for them from a local coffee beanery. Or use some old pillowcases that you are willing to get dirty. Keri Middaugh is a multipotentialite with her hands in many disciplines including real estate, education, creative arts, and permaculture. She aims to run a productive and wholehearted household, but often finds herself covered in flour, glitter, and chicken manure, though usually not at the same time. This article is the second in our new summer series, Ask an Ann Arbor Expert. Each week we will be featuring advice from an Ann Arbor expert on a family friendly topic. Would you like to be featured as an Ann Arbor Expert? Contact us for more information about appearing in the column.